The Technology, The Philosophy, and The Cypherpunks. Welcome to the Cryptoconomy. Today we reach the conclusion of Hoppe's incredible piece on the nature of fractional reserve banking and the contradictions of fiat money. With the final section, "From Deposit & Loan Banking to Fractional Reserve: The Devolution of Credit." Plus a really fun discussion as a follow-up to the entire, 3 part work. "How is Fiat Money Possible." There is no place like Mises.org. Don't forget to check out the vast collection of knowledge and information made available for free over at the Mises Institute! Continuing from yesterday's episode with Part 2 of our journey through Hoppe's amazing piece on the nature and origins of the fiat money system. Could such a system ever work in a competitive market, or are there extremely specific conditions and legal restrictions which make the contradiction of irredeemable paper money, temporarily sustainable? Listen to find out. "How is Fiat Money Possible." Don't forget to check out the vast collection of knowledge at Mises.org for this work and many more like it. "Fiat money is the term for a medium of exchange which is neither a commercial commodity, a consumer, or a producer good, nor title to any such commodity: i.e., irredeemable paper money." Another great suggestion by @stephanlivera, we begin our dive into Hans-Hermann Hoppe's extended piece on the Devolution of money and credit, "How is Fiat Money Possible." Don't miss an incredible read and fun discussion that follows. Don't forget to check out the vast collection of knowledge at Mises.org for this work and many more like it. The conclusion of The Case for Electronic Cash by Jerry Brito. Today we close out this amazing piece with the moral case for why we should not only refrain from demonizing and restricting digital cash, but we should foster and celebrate it! A huge thank you to Coin Center for this work, and don't forget to check out the incredible work they do. The original work can be downloaded here: https://coincenter.org/files/2019-02/the-case-for-electronic-cash-coin-center.pdf Also, don't forget that there are tons of footnotes and references that I do not cover in the audio for further digging into this topic. They can all be found in the full report. Continuing with Part 2 of "The Case for Electronic Cash" from Jerry Brito and CoinCenter.org. The consequences of total dependence upon financial intermediaries and how it is already affecting people today. Don't forget to check out CoinCenter.org for tons of information on all topics around Bitcoin and cryptocurrency technologies. The original work can be downloaded here: https://coincenter.org/files/2019-02/the-case-for-electronic-cash-coin-center.pdf Also, don't forget that there are tons of footnotes and references that I do not cover in the audio for further digging into this topic. They can all be found in the full report. Today we begin the long, and rewarding journey through Jerry Brito's & Coin Center's Report on "The Case for Electronic Cash." This is an incredible work present several case studies to explore the trade offs of privacy and individual autonomy, the nature of an open society, the consequences of a fully intermediated society, and how cash plays a critical role in it all. This will be a multi-part series that is not to be missed! Begin Part 1... Don't forget to check out CoinCenter.org for tons of information on all topics around Bitcoin and cryptocurrency technologies. The original work can be downloaded here: https://coincenter.org/files/2019-02/the-case-for-electronic-cash-coin-center.pdf Also, don't forget that there are tons of footnotes and references that I do not cover in the audio for further digging into this topic. They can all be found in the full report. What if there was a clear and obvious reason that the state monopolizes the production of money, that after understanding, you simply cannot unsee? What if the story we are all told of governments and central banks protecting the economy from crises, is actually the perfect opposite of what's really happening? Another great piece from Mises.org, by Hans Herman Hoppe; "Why the State Demands Control of Money." Don't forget to check out the invaluable work made available by the Mises Institute over at Mises.org. Another excellent piece from Su Zhu and Hasu at uncommoncore.co and a great introduction to the dynamics and risks at stake in the cashless society. Is the cashless society the frictionless future we want? Or is it frictionless mass surveillance and frictionless negative interest rates? Cash may serve a far more important role than merely a means of payment. Find out more in today's episode, reading: Bitcoin is a Hedge Against the Cashless Society Don't forget to follow and check out the many other great articles from these two excellent authors. Plus, click their tags on Cryptoconomy.life to find the many other works of theirs we have covered on the show. Today we have another great chat with Scott from The PayPod discussing the impact and philosophy of Bitcoin! Check out Soarpay.com, the sponsor for The PayPod and where the are hosted to find many other episodes of their show discussing new technology in the world of digital payments. And don't forget to follow them on Twitter. Disclaimer: If you are an ardent supporter of government projects, believe in the moral fiber of politicians, and in the power of voting to produce the greater good, then you will likely not enjoy this episode. You were warned ;) It feels like a good day for a long discussion comparing the trust model of government money, and the trust model of a decentralized, proof-of-work blockchain. Aka - Bitcoin vs. The Dollar. So lets take a dive into the various systems, their consequences, and the incentives that envelop both the rules and monetary policy that govern the Bitcoin system, and those that govern our political and banking institutions. 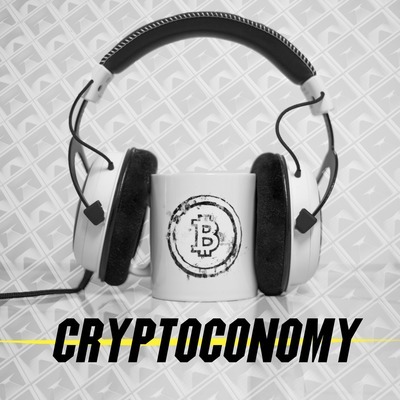 Don't forget to check out Cryptoconomy.life to explore more episodes like this plus hundreds of Bitcoin articles made available in audio format. Spoiler alert: The dollar doesn't fair so well. If you missed the insanity that happened during the "Block Wars" that extended from 2014 all the way to late 2017 with the split of Bitcoin Cash, then you aren't going to want to miss this article. With a thorough overview of both the history and core ideas behind the numerous ideas and personalities wrapped into the blocksize debate, Lucas Nuzzi lays out the full picture with his article "The Resolution of the Big Block Experiment." Drop some applause on this excellent write-up by heading over to https://medium.com/digitalassetresearch/the-resolution-of-the-big-block-experiment-e1df3e38d03f and while you are there be sure to check out his more recent article on Schnorr Signatures and Bitcoin privacy! Follow @LucasNuzzi on Twitter to stay up on the other incredible work he is doing. Another great Twitter thread to cover, this time from Jason Smith (@iwearahoodie) covering 5 incredible lessons learned after a year of being seriously into #Bitcoin. Are they the same things you've learned? Follow Jason and read the full thread here. The conclusion of the epic "Human Threat Model," by @jwweatherman. An exploration of the attack surface that exists in the very nature of being human, and how #Bitcoin could both change the fundamental relationship that we have with thieves and governments, as well as open up avenues to actually exploit the selfishness of corruption to take actions against itself. Another exciting read from JW! Today we begin the "Human Threat Model," by @jwweatherman. An exploration of the attack surface that exists in the very nature of being human, and how #Bitcoin could both change the fundamental relationship that we have with thieves and governments, as well as open up avenues to actually exploit the selfishness of corruption to take actions against itself. Another exciting read from JW! Continuing with Part 2 of the journey through the "Bitcoin Threat Model" to be followed by the "Human Threat Model," both by @jwweatherman. An exploration and extensively sourced work on the many different attack vectors and adversarial conditions within the Bitcoin system, their likely effect, and the security measures in place to mitigate them. Beginning the journey through the "Bitcoin Threat Model" and the "Human Threat Model," both by @jwweatherman. An exploration and extensively sourced work on the many different attack vectors and adversarial conditions within the Bitcoin system, their likely effect, and the security measures in place to mitigate them. A lot of announcements and tons of exciting stuff to talk about in this episode! Plus our read of the just released Casa Browser Extension, inspired by the Lightning Joule extension, which is one of the coolest additions to the Casa suite yet, plus they are now Open Source!! Don't miss an exciting episode with today's QuikRead! Check out the official announcement article & other posts over at blog.keys.casa. And follow Nick Neuman, Jameson Lopp, Jeremy Welch, Alena Vranova, Blake Neuman and others to stay up on the incredible stuff happening at Casa! These guys are changing the game on the daily! Want to know more about Neutrino, Submarine Swaps, Dual Funded Channels, Atomic Multi-Path Payments, Splicing, Sphinx Send, Eltoo, Channel Factories, Watchtowers, and the incredible list of new products coming for the Lightning Network? Look no further, Arjun Balaji (@arjunblj) & TheBlockCrypto (@theblock__ + @mdudas) brings us a walk through the major developments in Lightning with "From #Reckless to Wumbology." Don't forget to check out TheBlockCrypto.com and the tons of links to explore in the Full Article. Today we go through a short but awesome run down of the guiding principles at Casa. This company is one to watch very closely over the coming years, and a few things from their recent post make this very clear. Check out the full article and follow Casa on Medium Here. Don't forget to grab your Casa BTC/LN Node if you haven't yet, and of course, be sure to follow them on Twitter. CryptoQuikRead_204 - Bitcoin, Winner Takes All, or Winner Takes Most? "Today, there exists over 180 currencies across 195 countries. The reason for such an anomaly is simple: there is no free market for currencies. Currency markets have been restricted by governments in order to maintain financial control." A great start to a 3 part series by Misir Mahmudov and Yassine Elmandjra. View the full article here, and don't forget to follow the authors on Twitter at @misir_mahmudov & @yassineARK. Bitcoin: Winner Takes All, Or Winner Takes Most? Listen to find out. An amazing piece of work from the Coinmetrics.io team using the full node data and some serious digging to uncover the fraudulent minting of over 2 Million BTCP coins! A detailed analysis of how and when the coins were created, and how it managed to go unnoticed for such a long time. See the article in full plus the accompanying charts and data proving their findings at: https://coinmetrics.io/bitcoin-private/ Check out the incredible research by the CoinMetrics team at their website and follow them on Twitter. Taking a dive into an awesome tweetstorm from @danheld about the context, purpose, and beginnings of Bitcoin and whether it meets "Satoshi's Vision," or if it even matters. Follow Dan on Twitter and check out the full thread below: https://twitter.com/danheld/status/1084848063947071488 For some more fun regarding Satoshi's Vision and whether BCH is any nearer or further from that ambiguous idea, check out my own article - How Many Forks Does it Take to Get to the Center of Satoshi's Vision? A look at the crazy past, the present, and the future of Bitcoin and where I think things are headed. Bitcoin is here to stay and there are 10 amazing years of Proof-of-Survival I can point to as evidence. Happy Birthday Bitcoin, may the next 10 years be just as crazy! Guy'sTake_001 - Poor in a World with Bitcoin, or Rich in a World Without It? CryptoQuikRead_077 - Ethereum Blockchain Exceeds 1TB! The true disruptive potential of Bitcoin is that we can guarantee our own financial sovereignty without trusting anyone else. Don’t be a second class Bitcoin citizen, listen to Jameson Lopp’s article explaining how to be Bitcoin sovereign! Don't forget to check out the links and information for setting up your own full node:https://medium.com/@lopp/securing-your-financial-sovereignty-3af6fe834603 And of course check out the massive collection of resources and great info at Lopp.net! With so many new features, tricks, and protocol changes, what will it be like to use lightning? What will Carol, the user, need to know? Listen to Bryan Vu's story of Carol's first day with Lightning from the Lightning Labs Blog. Link to the blog and full article:https://blog.lightning.engineering/posts/2018/05/02/lightning-ux.html Don't forget to check out their other links in the article and stay tuned for future posts expanding the details of the awesome work being done by Lightning Labs!